I am neither a super painting enthusiast nor am I an expert on art movements but I do know a few things. I started to read about painters, movements and styles from time to time. Later, I was lucky because when I was studying in France, I learnt a lot about art history in the classes I took . (though our teacher was obsessed with Dadaism). Anyway, now I can talk a little bit of Mannerism, Rococo, Realism, Baroque and Impressionism. This painting has always been one of my favorites. It’s called “Ask Me No More“. It’s french title varies, “Ne Me Demandez Pas Plus”, “Demandez-moi Pas Plus” or “Ne M’en Demandez Pas Plus”. 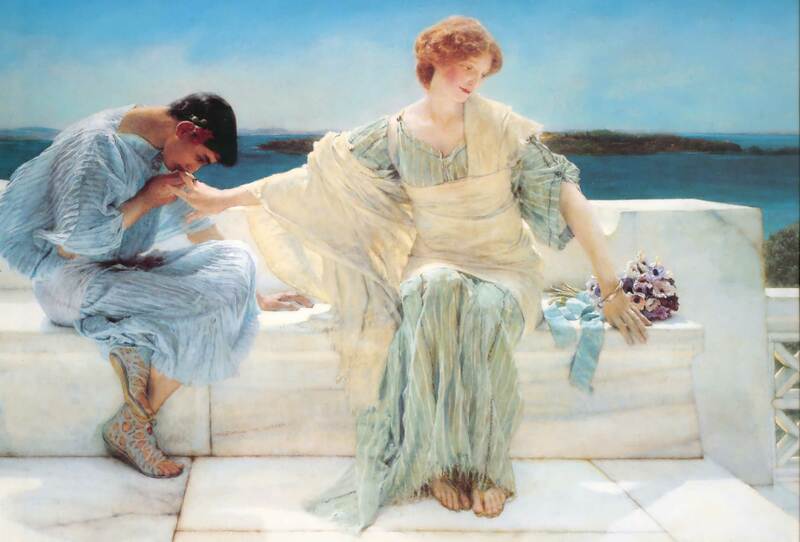 It’s painted in 1906 by Sir Lawrence Alma-Tadema, a Frisian painter who lived in late 19th century. I first saw and fell in love with it when my sister bought a puzzle of this beautiful painting. I was in high school. She completed it with huge patience, then lost it. 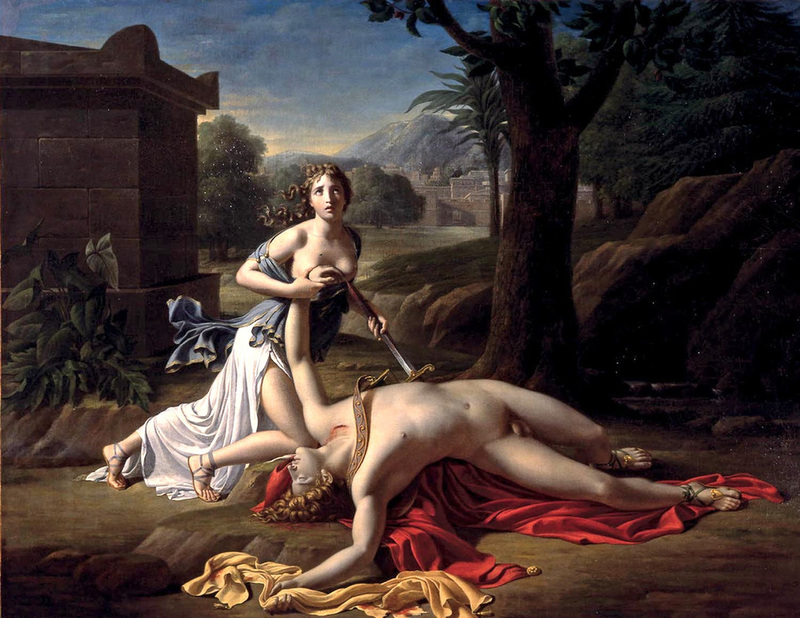 In this piece, you see Pyramus and Thisbe. They are yet another “ill-fated” lovers of Roman mythology. They are depicted many times by artist like Abraham Hondius, by Pierre-Claude Gautherot, by Jasper van der Laanen or by Niklaus Manuel. But I love Sir Lawrence’s version the most. It’s said that their story has given inspritation to Romeo & Juliet. “Pyramus was the most handsome of young men and Thisbe was the fairest beauty of the East.” ~Ovid in Metamorphoses. And the title is a quote from the Tennyson poem “The Princess”. But O too fond, when have I answered thee? Now that I can look at this beauty whenever I want because we bought it’s printed copy and it’s on our wall at the entrance. I’m so happy we have it and it welcomes me every time I enter the house. There are a few paintings that I want to have in our home. And I love doing research and learning about them, their creators and the stories behind them. I hope you like this one, too. This is the first time I heard of that story. That is so tragic. :( And yet beautiful, as beautiful as the painting. This is still me, Kim Z (atenderunfolding) :D the link I used is my other (unfiltered) blog.